From Photoforum Blog: Harvey Benge will be showing work from his autobiographical series Against Forgetting at the Corbans Estate Arts Centre .... The show opens Thursday April 19th at 6pm and runs until May 27th. Harvey will give an artist talk about his exhibition, at 6pm on Thursday 26 April. 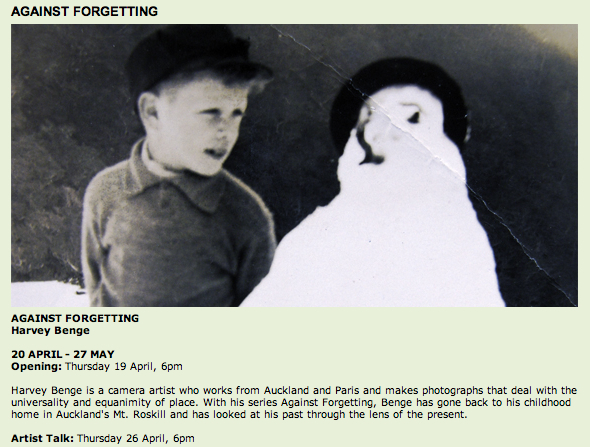 See also Havey's blog post about the book Against Forgetting.